Today’s feature is on the lovely Rainbow Jaekyung, born on Christmas Eve in 1988. She is the leader of the group since its debut in 2009, though before she had been offered numerous other contracts and possibilities. There is even a rumor that she was offered a position for the hugely popular Girls Generation! Either way, Rainbow Jaekyung has had a very successful career, with Rainbow and as a solo singer, dancer, actress, and television personality. She performs as part of the special sub-group Rainbow Blaxx and makes very regular appearances on television dramas and reality shows. Rainbow Jaekyung is also from a talented family — her brother, Jaehyun, is part of N.Flying, a rap rock band popular in Korea and recently in Japan as well. As a graduate of Dongduk Women’s University with a Fashion Design major, you can trust Rainbow Jaekyung to always show great style. She’s made another great decision with these two John Peters New York bags, one a great commuter’s messenger bag and the other a beautiful purple school backpack. John Peters New York has a range of backpacks and messenger bags for all occasions, especially good for students and young professionals. Rainbow Jaekyung certainly fits into that category! Check out www.johnpetersnewyork.com to find out more! 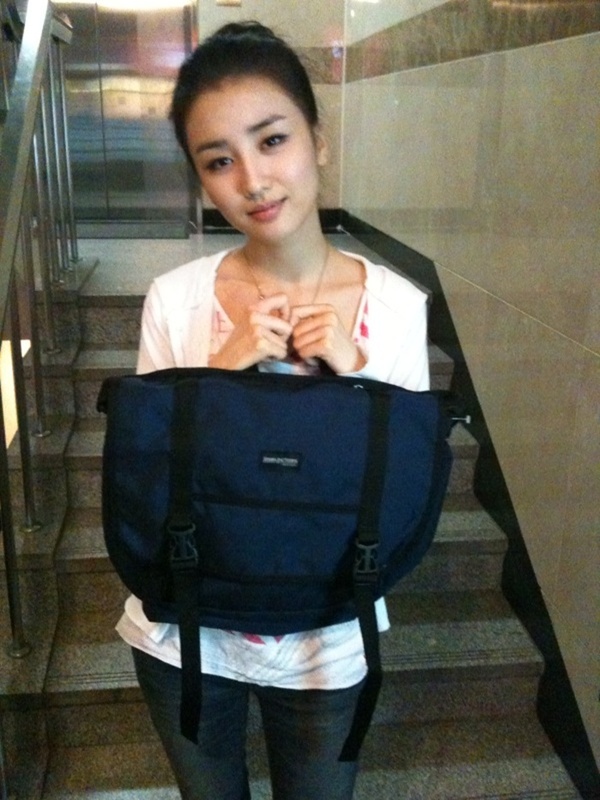 Share the post "Rainbow Jaekyung’s beautiful bags!" Posted in CELEBRITY'S PICK and tagged rainbow jaekyung, rainbow jaekyung backpack, rainbow jaekyung bag, rainbow jaekyung brother, rainbow jaekyung fashion, rainbow jaekyung style. Bookmark the permalink.